The distribution board in any building contains vital safety equipment for the purpose of protecting people and their assets. The devices installed for this purpose are, like so many other electrical products, subject to design and material shortcuts in order to reduce cost and attract those who are enticed by low prices. It is therefore important for installers and users to be aware of the intended functions of the equipment concerned so that, hopefully, safety compromises are discouraged. Within a building, the electrical supply is distributed from the distribution board (DB). 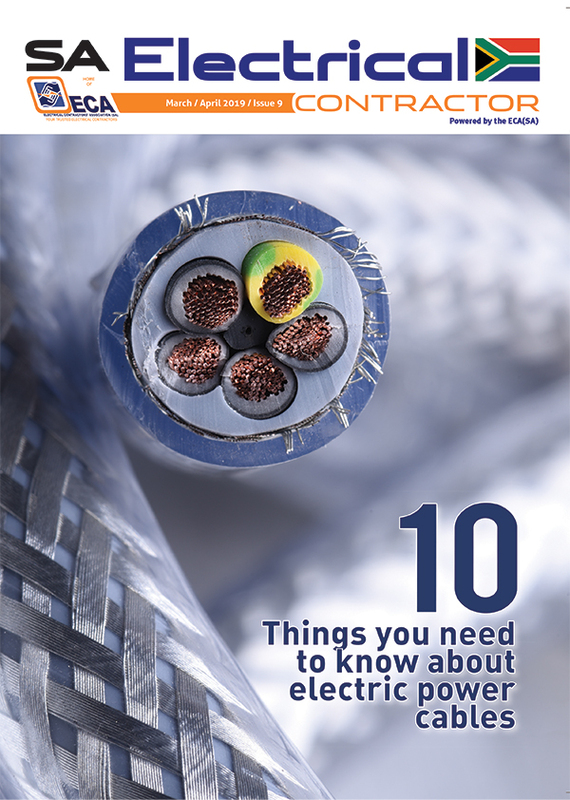 The main supply cable comes into the DB and is then distributed to the breakers and, from there, to all the circuits such as the geyser, lights and plugs. The DB usually houses all the contact breakers, earth leakage unit and may also house items such as a doorbell transformer and timers. In a house, the main distribution board is usually where the main electrical cable enters, however there may be smaller boards with contact breakers and possibly earth leakage units at other points, including swimming pool pumps, gate motors and outbuildings. Various types of distribution boards are available, such as surface-mounted, flush-mounted or floor-standing; with closing doors or clear plastic covers or doors. These are available in diﬀerent sizes, which are determined by the number of circuits rewired within the board, referred to by some manufacturers as ‘modules’ and others as ‘ways’, for example eight-way, 12-way, 18-way, 24-way, 36-way, etc, or module. The interior of the distribution board is pre-fitted with a clip tray or DIN rail for mounting the miniature circuit breakers (MCBs) and other devices. The two diﬀerent types of MCBs, referred to as ‘mini rail’ or ‘DIN’, are only interchangeable if special adaptor brackets are used. While mini rail MCBs can be slightly narrower than DIN MCBs (thus giving an advantage of fitting more into the same space available), the number of accessories on the market for this type of distribution board is limited as many manufacturers are now using the DIN format for their equipment. With the DIN format, the normal ranges of earth leakage units, disconnecting switches as well as MCBs are available. In addition to this, various types of meters, time switches, pilot lights, surge arresters, etc, are manufactured and this now makes the DIN type distribution board very versatile. Distribution boards can be purchased as an empty enclosure to enable the contractor to equip it, as a ready-wired standard unit, or as a specially manufactured item to a client’s requirements. Also available are distribution boards for specific applications such as swimming pools, ready boards for low-cost housing, irrigation systems, etc. Each distribution board must be controlled by a switch disconnector (mains or main switch). Be mounted in or next to the distribution board. In the case of the main or first distribution board of an installation, be labelled as ‘main switch’. In the case of a sub-distribution board, be labelled as ‘sub-main switch’ or ‘main switch’ if the board is labelled ‘sub-board’. In the case where an alternative supply is installed, such as emergency supply, uninterruptible power system (UPS), etc, be labelled as required. Have a danger notice on or near it. The danger notice should give instructions that the switch disconnector must be switched oﬀ in the event of inadvertent contact or leakage. The distribution board must be suitable for the environmental conditions in which it operates. Distribution boards shall be protected against corrosion. Any point of a distribution board that has to be reached during normal operation, must not exceed a height of 2 200 mm above floor (or walking) level. However, the board may be mounted higher if it can be disconnected from the supply by a switch disconnector that is less than 2 200 mm above floor level. Unless a residential distribution board is housed in an enclosure and direct access cannot be obtained by an infant, no part of an indoor distribution board can be less than 1 200 mm above the floor level, and no part of an outdoor distribution board can be less than 0.200 mm above the ground level. A distribution board must not be mounted in a bathroom, or above a fixed cooking appliance, or in a position where a stationary cooking appliance could be put below it, unless the enclosure provides a degree of protection, or within a radius of 1 m from a water tap or valve (in the same room), unless the enclosure provides a degree of protection. If an installation is likely to be extended, a distribution board with spare capacity should be fitted. Each unoccupied opening of a distribution board must be fitted with a blanking plate. Unless obvious, permanent labelling must identify all incoming and outgoing circuits of the distribution board. A circuit breaker performs the same function as a fuse, but it needs only to be reset, not replaced. 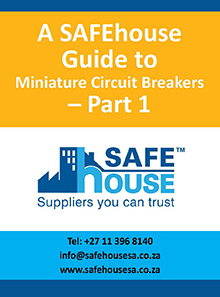 Circuit breakers have now replaced fuses and are chosen and connected into a circuit in the same way – they are also chosen with a rating that is always slightly less than the maximum current rating of a circuit. 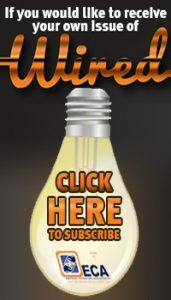 When the current flow in a circuit exceeds the rating of the breaker, it will simply trip, cutting oﬀ the electricity supply to that circuit, protecting it from damage. Once the fault has been cleared, the circuit breaker is reset, thus restoring the supply. Circuit breakers are located in the distribution board of the building and also in the utility supply meter box. Every breaker should be clearly labelled so that faulty circuits can be easily identified and isolated (e.g. lights, plugs, geyser, stove). A circuit breaker is also a switch. Switches and isolators are devices used to break the flow of current. Switches come in various shapes and sizes, but all operate on the same principle. An important factor when choosing a switch is its rating. Reputable manufacturers will always indicate the operating voltage and current rating. For instance, a light switch must not be used as a stove isolation switch because the rating of the light switch will be too low for the stove current drain and this would cause it to overheat and fail. Switches in a residential building would include switches in the distribution board, and the common switches indicated in the following illustration. An earth leakage unit is a device that can detect small imbalances between the earth conductors and the supply, indicating leakage of electricity down to earth. When this happens, the earth leakage switch automatically turns oﬀ or ‘trips’. A small test button is provided and it should be used to test the unit periodically. It is a vital safety feature for any installation and should always be installed.